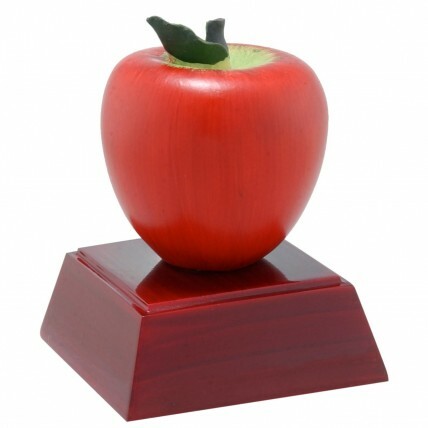 Show your favorite teacher how much you care with our Apple Resin Award! Make of heavy resin, this trophy features a bright red apple with a green stem on a brown base. At approximately 4" tall, the award has up to three lines your personalized engraving attached to the base and included in the price.